Silicon Goulash, a blog dedicated to the Hungarian startup community, has come out with a post which acts as a thorough guide to the startup ecosystem of this central European country and they’ve very generously allowed us to bring a summary of it to our readers. We learned of this post a couple of months ago, but hindered posting and also preventing the completion of this post. Things are starting to return to normal, though, and most of the links and information presented here are still very relevant. Startup Underground – This event was on April 18th, so we’re too late to offer a preview. I searched for information about the winner of their startup competition, but cannot seem to find the results at the moment. Barcamp Budapest – Held May 2nd, so another that we’ve unfortunately missed. Here is a list of the finalists for this year’s competition. We’ve contacted them to find out who ended up winning. Hungarian Innovation Tech Show – To be held June 11th, so still time to make plans for this event. Those wishing to show off their product or service need to complete an application by May 13th, however. Startup Sauna Budapest – They haven’t announced a date for this year’s event, but we will stay on the lookout for developments here and will be sure to add it to the calendar on the site. Seedcamp Budapest – There isn’t an event listed for this year, but there was one in Budapest last October. If they announce a date for this year, we will definitely do a post on it. Colabs Startup School – This was a tour of events which went to various cities in Hungary. Organized by Colabs. 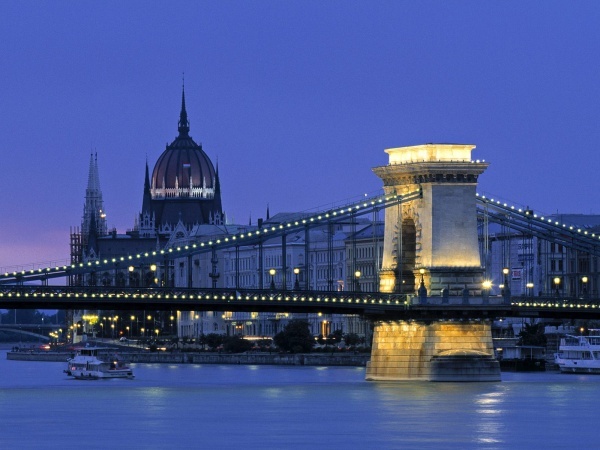 Budapest Business Meetup – This group organizes monthly meetings. European Entropreneurship Foundation programs – Their most recent event was yesterday, but this organization hosts regular speaker-series and conferences. International Geek Together – Their most recent event was on April 25th, but they’ve held previous events in March, October, and December of last year. Thus, it wouldn’t be surprising to see them host another in the coming months. According to their site, their goal is to provide networking opportunities. It’s not about pitches or speakers here. They just organize meetings to hang out and discuss technology. They have a closed Facebook group if you’re interested. Mobil Weekend – They hold events every once in a while. They’ve held their Mobil Weekend event in November the past 2 years, so that trend will likely continue. The Budapest New Technology Meetup Group – A new-tech group which meets once a month. StartUp Budapest – They host a free speaker-series every few weeks. The next event is on May 14th. Startup Flyer – This is the Budapest iteration of Startup Flyer, a site which allows for users to create or find events based on specific skills or needs. It’s a really interesting idea, but it also means that sometimes you’ll wind up not finding any events (although maybe that’s a sign that you should create your own?). Still, possibly useful for people looking to find something specific. StartUprise – There aren’t any upcoming meetups currently scheduled, but they had one back on March 6th. It’s a group which is designed to help newcomers become familiar with the Hungarian startup ecosystem. Startup Weekend Budapest – The event was on April 5th, so we’re a bit late with the news. Still, you can check out their site, where they’ve posted a video and a bunch of pictures. Colabs – Described as a “startup center and tech hub”, they regularly host events and have their own accelerator program. The deadline for their next class is June 15th. Their next announced event is the Swiss-Hungarian Startup Challenge 2013.
iCatapult – A while back, we did a separate post on the founding of this accelerator. SeedUp – They were the organizer of the Startup Underground event and will be starting their accelerator program in spring 2013. European Entropreneurship Foundation – Founded in 2005, this agency offers seminars to the local entrepreneurial community in Hungary and several surrounding countries. Megoldas.Most – A consulting firm. SmartUp – This is a communications firm which can help startups with PR, marketing on search engines, etc. There’s not much difference between the different office spaces. Obviously location differs, but most of them serve the same purpose and offer a largely-similar environment to startups. Thus, we will simply list the most popular spaces and add a comment where really necessary. Loffice Coworking – Listed as one of the first co-working spaces in Budapest. They’ve since expanded to Vienna. Blind Investment – A quarterly event which concentrates on a new theme each time. Business Angel Club – A monthly showcase for private investors. Euroventures – One of the largest VC firms in central Europe. They are affiliated with the JEREMIE program. Day One Capital – First institutional business angel fund to operate in Hungary. Primus Capital – These guys launched iCatapult. European Entropreneurship Foundation blog – English-language blog which offers general advice on starting a business, information about trends and news in the CEE region, and offers the latest news from the Foundation itself. Silicon Goulash – The source of the article and an all-around great resource for information on the latest happenings in the Hungarian startup community. StartupCafe – Hungarian-language site which offers the latest news about tech startups. Startupdate – Hungarian-language site which offers advice on establishing a business. Startups.hu – Described on their own site as a database of 59 (thus far) Hungarian startups and entrepreneurs.